Extended core stretch wrap is used for bundling small shipments, furniture and items such as boxes or suit cases with a disposable core and built-in handles for easy handling. 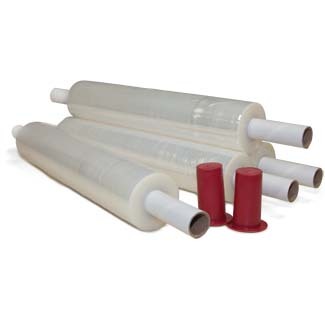 Clear residue-free extended core stretch film stretches up to 100%, which contributes to its excellent resistance against tearing. The stretch wrap roll comes with a disposable extended core for easy grip.